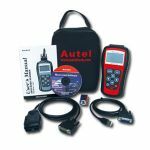 MaxiDiag FR704, an innovative multi-functional scan tool powered by Autel Uni-SCAN technology, is designed for technicians to troubleshoot engine, transmission, ABS and airbag systems for Renault/Citroen/Peugeot. 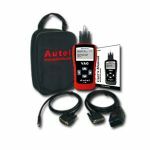 This scan tool not only is affordable, reliable and easy to use, but it is also a time saver as well as a money maker. The MaxiScan MS310 OBD II/EOBD Code Reader provides you with easy and quick access to the diagnostic trouble code that is causing your vehicle’s problem. 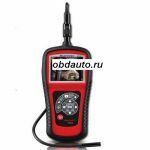 It easily retrieves diagnostic trouble codes (DTCs) and code definitions on all OBD II/EOBD compliant vehicles sold worldwide since 1996. This compact and professional reader has the same functions and benefits as large expensive diagnostic scanners. The MaxiScan MS309 CAN OBD II/EOBD Code Reader provides DIYers easy and quick access to Diagnostic Trouble Codes and their definitions on all OBD II compliant vehicles sold worldwide since 1996. Though small in size, it is powerful enough to retrieve the same information as large expensive scanners. 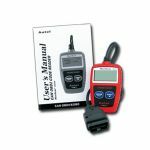 The MaxiScan VAG405 code scanner is an OEM level diagnostic scan tool for most VW/Audis sold worldwide since 1990. 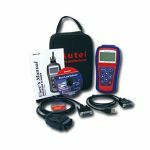 This scan tool not only is accurate, reliable and easy to use, but it is also a time saver as well as a money maker. The MaxiScan MS509 OBD II/EOBD Scanner supports all nine OBD II test modes on all OBD II compliant vehicles to enable technicians to accurately diagnose complex problems. This ergonomic scan tool, though sophisticated yet easy-to-use, makes your vehicle service experience much more pleasant!